DALI Mentor Menuet review | What Hi-Fi? Even in a group of compact standmounters, the Dalis look frivolously small. The cabinet is a smoothly curved affair, but there’s not much of it. And the mid/bass driver is just 10cm in diameter. There’s nothing trivial about the way the Dalis go about their business though. Timing, detail levels and frequency-range integration all impress, but it’s their sheer musicality that marks these out as five-star performers. They’re achingly articulate through the midrange, giving character and expression to instruments and voices alike, and are just as urgent or as soothing as is required. Add a frankly unlikely dynamism and considerable scale, and you’ve a speaker adept at more-or-less anything. They’ll even have a stab at shuddering basslines, though some port noise is audible under such sonic duress. All the ‘quart/pint-pot’ and ‘midget gem’ clichés apply. 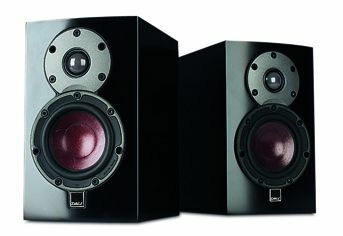 If you want small speakers with full-size ability, here they are.